Mornings can be hectic, so this make-ahead gluten free recipe means one less thing you need to do before you start your day. 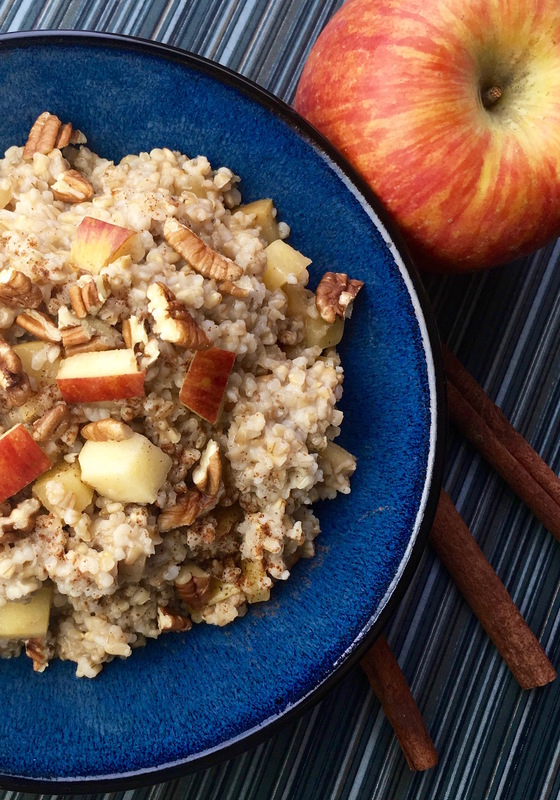 As an added bonus, this healthy and delicious overnight breakfast recipe will have your house smelling like freshly baked apple pie when you wake up in the morning. 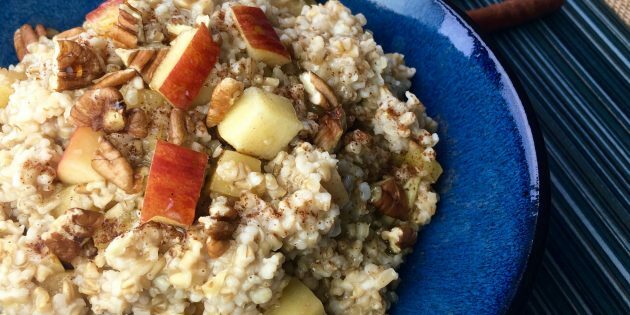 Do not substitute any other type of oats for this recipe. Cooking times are based on using steel cut oats only. It very important to either line or heavily grease the sides of your slow cooker before preparing this recipe. If you skip this step, the oats will stick to the sides and will be very difficult to remove. Add oats, water, cider, apples, honey, cinnamon, nutmeg, allspice, and salt to greased or lined slow cooker and stir to combine. Cover and cook on low for 6-8 hours. Actual cooking time will vary depending on your slow cooker, so check for doneness after 5 hours and adjust cooking time accordingly. To serve, allow to cool slightly before spooning into bowls and topping with fresh chopped apples, pecans, and some real maple syrup, if desired. If you click on any of the links associated with this post we will receive a small commission! Thank you for keeping me blogging!! This recipe was so tasty!! For this recipe I ended up using my 3.5 Quart Crock Pot. It was the perfect size for this recipe and is probably my go to for most of my slow cooking. 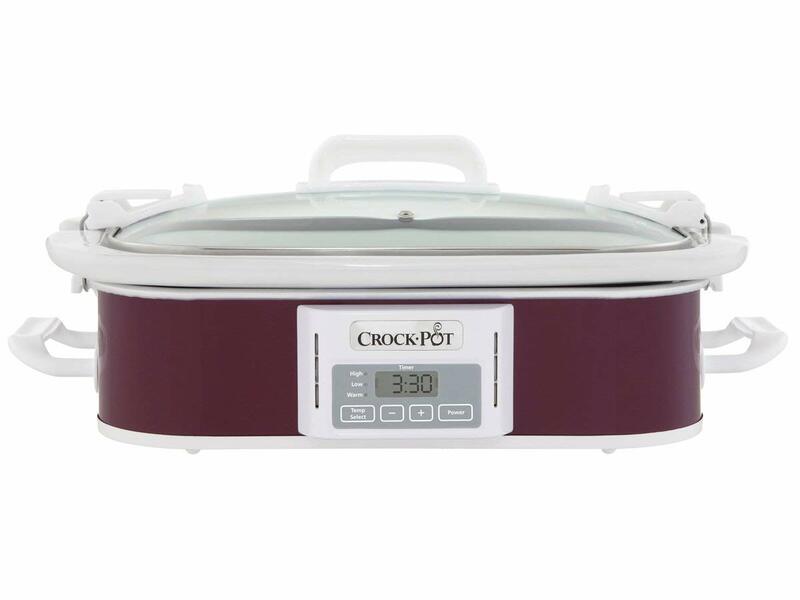 This slow cooker has a programmable control pad that is simple to use and includes a digital timer. It can be set from 30 minutes to 20 hours to accommodate any recipe. The stoneware is 13 x 9 which is perfect for casseroles and can be used in the oven. Click on the link to give this slow cooker a try!